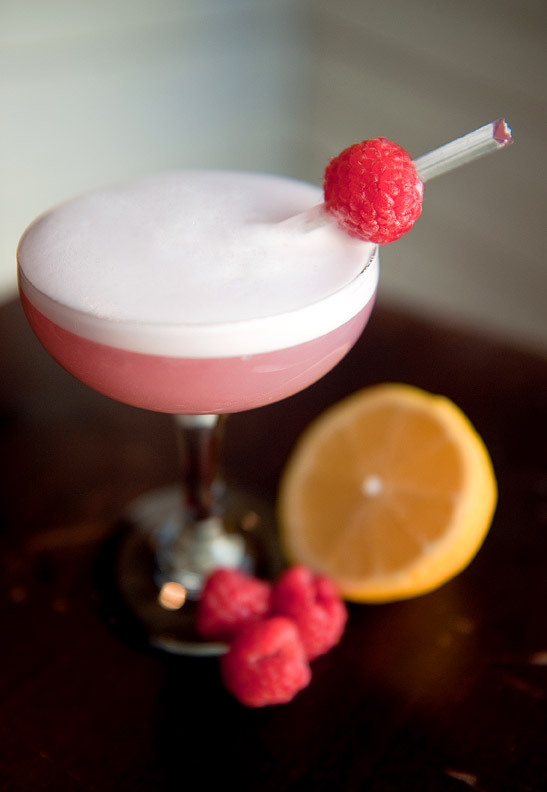 If you have a few minutes today, go check out a guest post I did for Drink Philly on Philadelphia’s original cocktail, the Clover Club. It’s a fairly simple drink that’s easy to make and good place to start with egg white cocktails. Add ingredients to shaker and shake vigorously without ice for one full minute to emulsify the egg. Add two ice cubes and shake again for 30 seconds to chill the drink, then pour it slowly into a coupe glass, remembering that the best part of the egg white will come at the end. Pretty great post. I just stumbled upon your blog and wished to mention that I’ve truly enjoyed browsing your blog posts. In any case I will be subscribing to your rss feed and I am hoping you write again soon! This looks amazing and it’s such a beautiful drink too!